These are lyrics by Red Hot Chili Peppers that we think are kind of nonsensical. Red Hot Chili Peppers', "Around The World"
What do those things have to do with the rest of the song? They just don't make any sense! I think the pen ran out of ink when they were writing the words out to the song. This doesn't exhibit any coherence whatsoever. Red Hot Chili Peppers', "By The Way"
I'm sorry, but to me this makes no sense whatsoever. Why is half of this song really great, and the other half incomprehensible rap? (That's rap with a silent 'c', btw.) These lines seem to be completely random and not make any useful sense whatsoever. Red Hot Chili Peppers', "Californication"
Come back strong with 50 belly dancers. This whole song is is utterly incomprehensible, but this line is particularly wild. What do belly dancers have to do with not being able to stop?! Red Hot Chili Peppers', "Dani California"
What type of is that? Red Hot Chili Peppers', "Get On Top"
Red Hot Chili Peppers', "Scar Tissue"
With the birds I'll share this lonely view. What is he anyways? Part gargoyle? 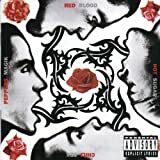 Red Hot Chili Peppers', "Snow (Hey Oh)"
How do you look at what someone's saying? Red Hot Chili Peppers', "The Power of Equality"
This is just filler about baseball at the beginning and has nothing to do with the rest of the song. Red Hot Chili Peppers', "Universally Speaking"
OK I really like this band, and I do forgive them from time to time for lyrics that don't make sense, but this time I am completely baffled! what do these lyrics mean?!?! I mean..yeh...esp the first and last line?